Members of the Manitoba-Chinese business community are marking the Year of the Rooster by celebrating new opportunities and relationships. On Feb. 3, IDO Media (2615 Pembina Hwy.) is hosting the first annual Manitoba Chinese Business Gala, to coincide with the Lunar New Year, at Canad Inns Fort Garry (1824 Pembina Hwy.). 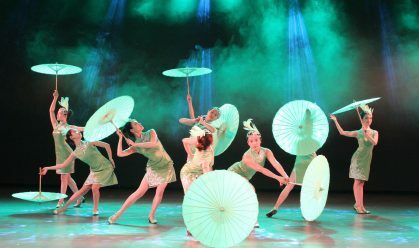 The gala dinner will feature performances from Sichuan Cultural Exchange Performance Group and presentations from local political leaders and business executives, but networking will be in the spotlight that evening. 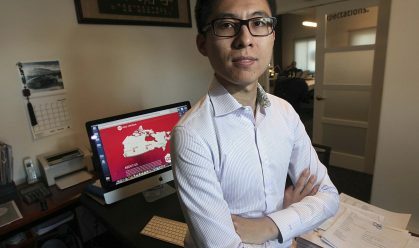 Fisher Wang, CEO of IDO Media and founder and president of the Manitoba Chinese Community Centre, said the Chinese population along south Pembina Highway is booming, with students arriving to study at the University of Manitoba and newcomers settling in the area. According to Wang, the population, while small at about 30,000 people, is a wealthy one with members who are interested in becoming entrepreneurs, purchasing homes in the area, and having the means to make big ticket purchases. However, newcomers are also isolated in many ways Wang said, noting language barriers and different media consumption habits. “That’s why we have had more Chinese businesses open and more businesses want to target this new demographic,” Wang said. The gala will be an opportunity for well-established local businesses and executives to connect with members of the Manitoba-Chinese community and entrepreneurs with new startups to build relationships with companies that have been operating in Winnipeg for years. Glen Buhler, founder of local professional organization Today’s Executive Network (TEN), said adding a diversity of experience, culture and perspectives only benefits the group’s networking efforts. TEN has a membership of about 1,800 executives and business leaders in Manitoba and is a sponsor of the business gala. “I’m fortunate that I was born here in Manitoba. My grandparents though, were not. They came to Canada, didn’t know anybody, and they wanted to start a construction business back in the ’50s. It’s a pretty daunting task if you don’t know the culture, the people, the language — they just spoke German and a bit of Russian,” Buhler said. According to Buhler, business organizations can also miss valuable opportunities when they become isolated and leaders don’t look outside their immediate network of connections. For more information or tickets to the Manitoba Chinese Business Gala email info@idomedia.ca or call 204-221-5703. Copyright © IDO Media (Group) 2013 – 2019 All rights reserved. Thank you for taking the time to submit a nomination for MCBG 2019 awards. The Awards Committee will review nominations, with selections made in early 2019. To recognize a Chinese owned company that has had rapid growth and a positive contribution to the Chinese community in its operation for more than one year. 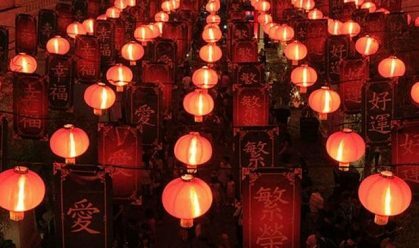 To recognize an individual, Chinese or non-Chinese, whose community involvement has demonstrated a significant contribution to the Chinese community. The contribution could come from within and/or outside workplace (e.g. through mentorship, volunteering, donation). This award is purposed to recognize an individual who is not only dedicated and creative in problem-solving, but also strives to exceed customer expectation among and beyond the Chinese community. To recognize a Chinese individual, from a service-oriented sector, who is not only dedicated and creative in problem solving, but also strives to exceed customer expectations among and beyond the Chinese community.